This is my mom’s all-time favourite cookie. It has that perfect combination of crispy on the outside (in a buttery sort of way), and chewy on the inside. This is my mom’s all-time favourite cookie. And for good reason. It has that perfect combination of crispy on the outside (in a buttery sort of way), and chewy on the inside. The recipe is from my grandmother and is a cookie that my mom grew up eating. 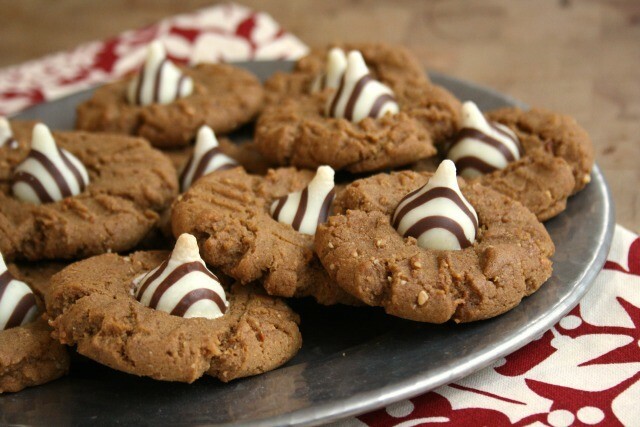 Of course Chewy Molasses Crinkle Cookies aren’t unique to my family. You’ll find this recipe in old cookbooks everywhere, including old Crosby’s cookbooks, and all over the Internet. 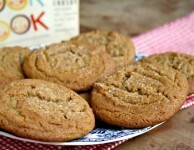 You might even know the recipe as Elevator Lady cookies from the classic, I Hate to Cook Book, by Peg Bracken. My grandmother’s original recipe called for the shortening (I use butter) to be melted first but I use softened butter instead since I prefer the resulting texture of the finished cookie. Beat butter and sugar. Add egg then molasses. In a separate bowl, whisk flour, baking soda, salt and spices. Stir into butter mixture and mix until combined. Form it into walnut-sized balls. Dip the tops in sugar and place them 2” apart on a parchment-lined cookie sheet. Bake at 375 F for 8-10 minutes. 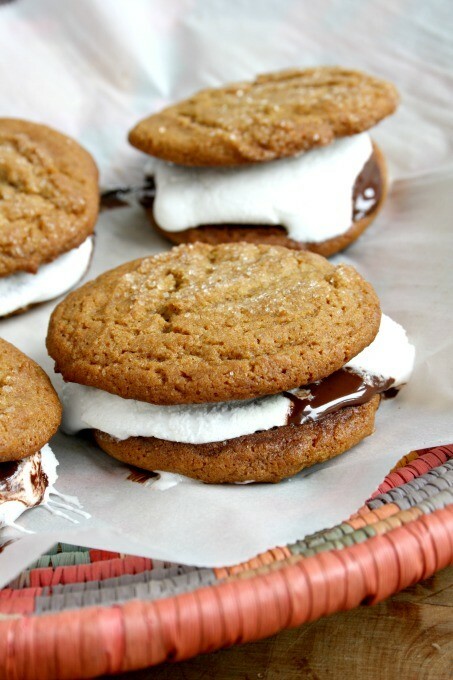 Yummy love any recipes with molasses. Hi! 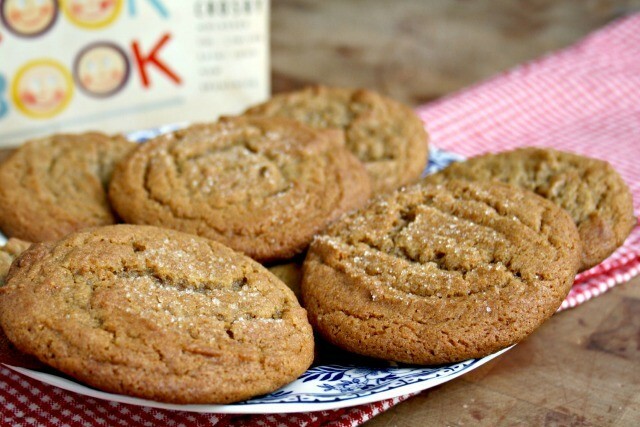 Please, I’d love a copy of your cookie recipes cookbook and holiday baking cookbook.